We reach the end with some mixed feelings - the ZTE Nubia Z9 definitely knows how to put on a flagship show only to see it fumbling at odd moments. We accept that the software is suitable for the Chinese market and an upcoming update will fix internationalization complaints we had during the review process. But did it need to be this heavy? Why is the browser so slow? Why no 30fps in 4K videos and the gimped 120fps mode? 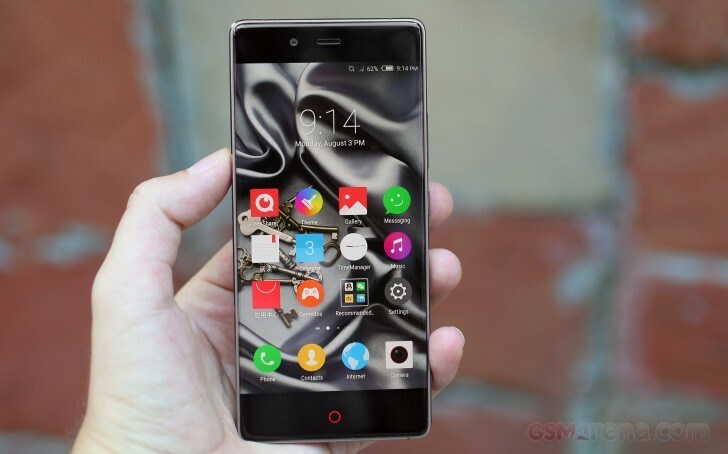 Then we're reminded of the good in the Nubia Z9 - starting with the excellent retail box, to the unique bezel-less screen, the creative use of that screen for gestures, there's plenty ZTE got right. Nubia UI 3.0 tries to merge iOS and TouchWiz features and aesthetics - making it rich in features, but somewhat incoherent. The split-screen mode doesn't resize some apps properly. English menu translations are weird and definitely incomplete. Samsung has been experimenting with gestures on the side of the screen since last year and we've seen some prototypes trying to do the same. Those were pulled off with difficult technology solutions like curved screens. ZTE's solution meanwhile is genius in its simplicity - turning the fact that you basically can't avoid touching the screen (because of the super thin bezel) into a feature. The way those bezels were made so thin is brilliant too, using simple optics. The rainbow effect may bug some and the thick glass made the Nubia Z9 quite heavy (metal frame and more glass on the back didn't help), but it shows that there's still opportunity for innovation to disrupt the current grind of incremental hardware upgrades - core after core and pixel after pixel. Anyway, the quality of the screen is quite good indoors though the contrast is less than perfect (poor black levels are to blame). Brightness is good, though sunlight legibility is average. ZTE could have shopped around for a chipset - the Snapdragon 810 is the obvious choice for marketing, but in practice an 808 (like LG used) or a MediaTek chipset could have provided similar performance without the heat issues. It certainly bought the right image sensor though - the camera shows competitive image quality, the Pro mode and a bagful of fun modes round off a great photography experience. There are some weak points though, like HDR, but the video had more issues: no 30fps in 4K videos, low resolution 120fps videos and audio is behind the best in biz. The Nubia UI has some interesting ideas. The gestures are quite useful (almost on an S6 edge level) and there are some good borrowed features, like the split-screen multitasking. That one needs better support from Nubia's native apps though, some didn't scale properly (funny enough, some third-party apps did). Still, it's inescapable that there just isn't much to compare the ZTE Nubia Z9 against - that bezel-less design is unique, especially when you get down to the details. 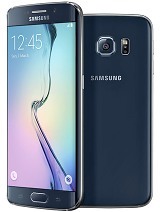 The way the screen of the Samsung Galaxy S6 edge slopes allows for useful gestures and it gives the phone a unique look too. Not bezel-less though, the bezel is quite visible, it even feels bigger since the main area of the screen is further away from the side of the phone. Still, the screen is brighter and sharper, with ideal black levels and great sunlight legibility. The chipset (like the screen) shows the advantage of Samsung's own facilities, while the fingerprint reader and heart rate sensor are too much for the Nubia. The software feels more familiar in the western hemisphere to boot. Note that the Galaxy S6 is the only alternative listed here that doesn't have dual-SIM connectivity. The Oppo R7 Plus is noticeably bigger, but unlike its non-Plus sibling it has razor sharp bezels. No optical tricks to hide them, they are just thin. At 6" big, the 1080p AMOLED screen is down on pixel density. The Snapdragon 615 chipsets substitutes the beefy Cortex-A57 cores with four A53s and the Adreno 405 GPU is not great for gaming. The camera isn't as impressive either, despite the Schneider-Kreuznach optics and laser autofocus, 13MP and 1080p are just midrange stuff. You do get a fingerprint reader and a microSD card slot though, a huge battery too (4,100mAh, charged to 75% in half an hour). 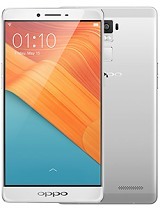 A similar but smaller option is the vivo X5Pro - a 5.2" Super AMOLED screen of 1080p resolution makes it noticeably more compact than the Oppo. It has the same Snapdragon 615 chipset though the 13MP camera records 2160p video. 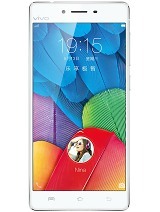 The bezels are thin, but not outrageously thin. The Huawei Honor 7 has a screen-to-body ratio only slightly lower than the Nubia Z9's, the 5.2" IPS LCD of 1080p resolution itself is similar enough though with better contrast. The Kirin 935 chipset may seem superficially similar, but offers worse performance than the S810 (especially in gaming). The 13MP/1080p camera is not that impressive compared to the Z9's 16MP optically stabilized shooter either.